Inherent in the AVC format is an exceptionally useful feature which reduces blocking and other encoding artifacts that have so plagued many of the predecessors of AVC. It is extremely useful in AVC encoding, and due to the fact that AVC is built around this filter and you may experience excessive amounts of blocking and video artifacts (bad stuff), this deblocker should generally not be disabled for normal use. However, due to the fact that it takes up immense amounts of decoding time, you may consider disabling it to achieve the fastest possible decoding speed (Xbox, handheld, etc) if the decoder doesn't support disabling it on the fly. Bear in mind that the very principle of in-loop filtering (deblocking) is rather controversial due to the fact that the human visual system (HVS) often misinterprets the flaws and blocks in spatially complex scenes as the scene's actual detail. Because x264 removes this artifacting by default, the HVS perceives this to be a "loss of detail" even though technically x264's detail is just as accurate-even more so, in most cases, at similar bitrates. 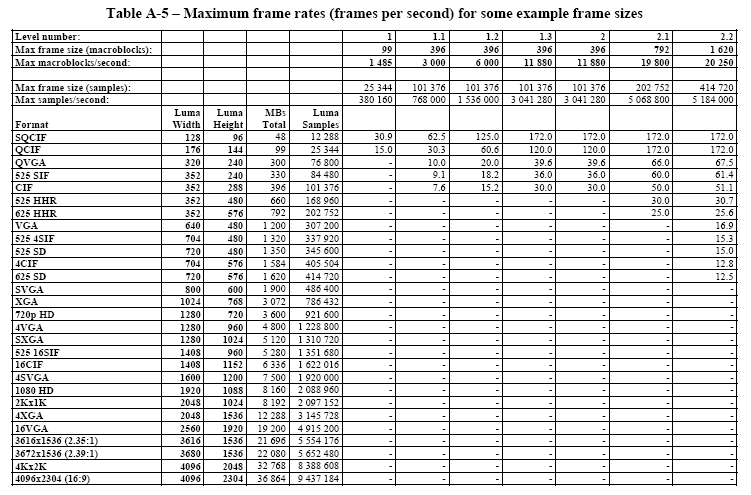 Indeed, the general consensus as of yet (heavily supported by Doom9's codec comparison and the quality metrics) is that x264 does tend to keep more detail more accurately than ASP (non-deblocked) codecs at similar bitrates. However, the deblocker's removal of artifacts is occasionally confused by the HVS as a removal of legitimate detail by people accustomed to encoding without a deblocking filter. However, for people who consider noise in their video encodings to contribute to a "warmer" and more pleasing picture, the deblocker's removal of this noise is often unfavorable to them. This preference is subjective from person to person, so take the effort to find out what settings best suit your eyes/needs. The alpha deblocking threshold "strength" (P) helps to determine how strong of a deblocking effect is needed to eliminate blocks. The beta deblocking "threshold" (See 'Q' in above illustration) determines how much of the material actually needs to be deblocked. 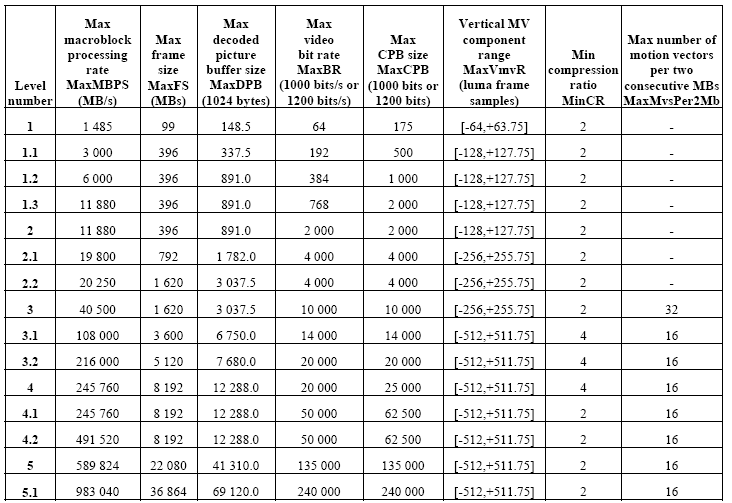 The higher this is set, x264 will perceive more of the video as blocks (often too much of the video, if set too high), so the more the deblocker will act upon. Naturally, if you don't wash (deblock) enough of the material, there will still be some stains (blocks) left, away from the washed area. Think of it like washing a shirt. If you don't wash (deblock) hard or strong enough, the stains (blocks) simply won't fade/disappear. However, if you wash too much material or scrub too hard, you'll ruin the shirt, because instead of stains, there will be the ugly lack of color where all the texture and detail rubbed out. Do not go out of bounds of the -3 to 2 range (applies to both bars). Generally, any more than 2 will turn your result into mush while decreasing quality. Any less than -3 may cause the result to look a bit too sharp-not in a good sense, either, for the lack of detail will merely become more apparent as all the cover-up is taken out. If you are encoding an animated source, heavier deblocking (both bars at 1) is suggested to eliminate all blocks possible. The drawn content is more resistant to smearing due to the high-contrast edges. On the other hand, if you are encoding a "real-life" video, especially one with intricate textures and low/poor lighting, consider decreasing the deblocking to preserve such things without creating a washing effect. Try to keep a positive correlation between the two settings. That is, if you want heavier deblocking, make sure to increase the threshold so that more gets deblocked, and vise versa (1,1; 2,2; -1,-1; etc). Recall the comparison with the clothes washing: you don't want to heavily wash a small area while the rest remains unwashed; the unwashed areas will stand out more in stark vividness and provide an ugly visual effect. For maximum preservation of detail at high bitrates, I suggest trying -1 for both settings (up to -2 for threshold). However, 0 may still be optimal for one or both of the settings depending on source material (gradients, textures and contrasts), bitrate used, and personal preference. 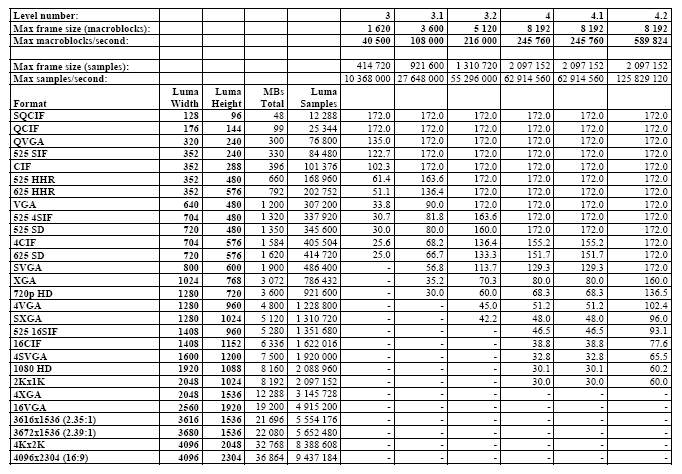 In X264 there are two deblocking parameters, called Deblocking strength and Deblocking threshold. The strength parameter refers to Alpha Deblocking, while the Threshold Parameter refers to Beta Deblocking (Alpha and Beta Deblocking are the official names). When a deblock setting is written as X:X (for instance 0:0 or 2:-2) the first number is alpha deblocking, while the second is beta deblocking. Alpha deblocking effects the overal amount of deblocking to be applied to the picture, higher values deblock more effectively, but also destroy more detail and cause the entire image to be softened. The default value of 0 is almost always sufficient to get rid of most blocking (especialy when using a cqm), but leaves the picture noticibly blurier. In general use this value should be no lower then -3 and no higher then 3. When using a cqm the authors recomended settings should be used as the default value, and shouldn't be altered by more then +/-2. Alpha Deblocking is the most important parameter in determining the overal sharpness of your encode. Beta Deblocking is a bit more tricky to use, Beta Deblocking determines whether something in a block is a detail or not when deblocking is aplied to it. Lower values of Beta Deblocking apply less deblocking to more flat blocks with details present (but more deblocking to blocks without details), while Higher values cause more deblocking to be applied to less flat blocks with details present. Generally Beta Deblocking shouldn't be altered unless you are haveing problems with the default setting. Raising Beta deblocking is a good way to help get rid of ringing artifacts by aplying more aggressive filtering to blocks that aren't very flat. Lowering beta Deblocking is a good way to reduce the amount of DCT blocks without bluring the entire picture. A high value of beta deblocking will cause nonflat blocks to be deblocked more aggressively, while a low value will cause the opposite. If you wan't to give your encodes a more detailed look and don't mind the occasional block try a setting of -2:-1. If you like a clean picture and don't mind a little bluriness try 1:2. A nice trick for anime is to use lower beta deblocking setting because it won't blur out lines as much that way. 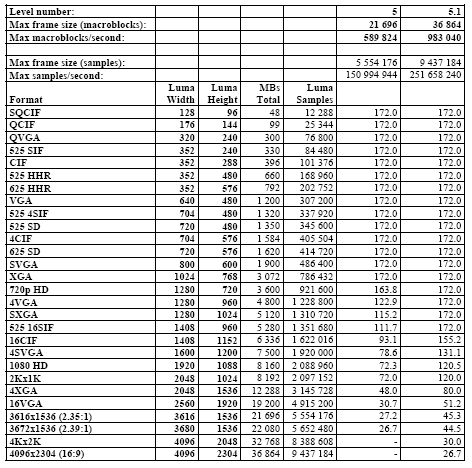 Here is some information on AVC's levels. These are common for all profiles. DVB currently requires level 4 capable decoders for digital tv applications.